Ekklesia is not church | Called Out: Now What? A foundational word of the Greek New Testament was lost when the Bible was translated into the English language. That word is ekklesia. How was it lost? And what does it mean? There are two ways to move a word from one language to another: 1) Translation — to take a word in one language and express its meaning in another language; and 2) Transliteration — to spell a word written in one language’s alphabet in the alphabet of another language. In 1525, one of the first people to translate the Bible into English, William Tyndale, translated the word ekklesia as congregation. However, in 1611 the translators of the King James Version of the Bible chose to completely drop the Greek meaning of ekklesia and to replace it with the English word church which has a different meaning. Since then, most English translations have followed the King James example and used church to replace the meaning of the word ekklesia. However, the Greek word ekklesia, now lost to most English Bibles, has a completely different meaning than the word church. 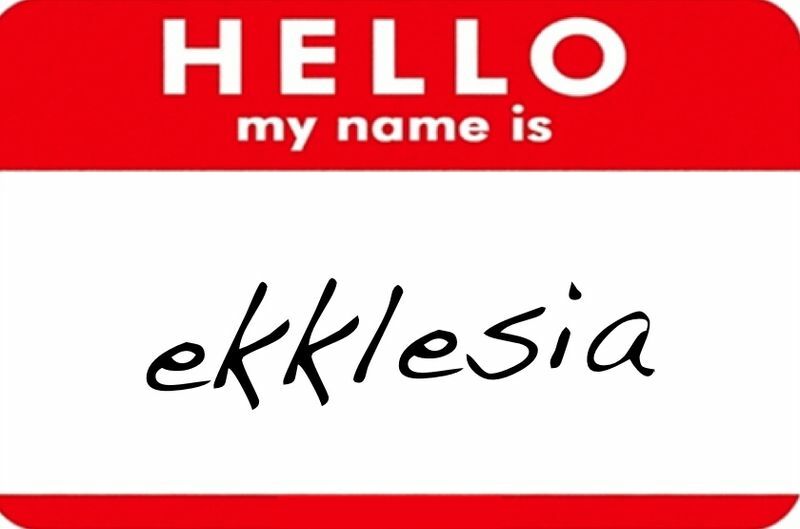 Ekklesia literally means “the called out ones.” It also was the proper name of the governing bodies of independent Greek city-states. These bodies (Ekklesias) were open, participatory, interactive assemblies that gathered to conduct city business. Taking both meanings into consideration, the New Testament definition of ekklesia would be “an open, participatory, interactive assembly of people called out of self-focus and into the pursuit of God’s business”. Since there is no single English word that conveys the Greek concept of ekklesia (assembly or gathering or congregation come closest but they leave out the participatory and interactive nature of ekklesia), perhaps we should do what the Spanish Bible translators did and restore the lost word by incorporating it into English in its transliterated form — ekklesia. Read more articles by —>>> the author here at his blog! Paul is not and was never a minion. Not sure how you came up with the scenario above but no Christians I know subscribe to it. Salvation is by grace through faith, though that does not negate every Christians responsibility to obey God as they are led of the Spirit. Returning to, or living in the Old Covenant or by law is strictly forbidden by God- the book of Hebrews makes this quite clear and are the judgments associated with doing that. I believe it was also Paul who said I die daily and labor more than anyone else desiring to see Christ manifested in His flesh. He lived what He heard from heaven, not from men and died as one who testified regularly to the merits of Christ. May we do likewise.